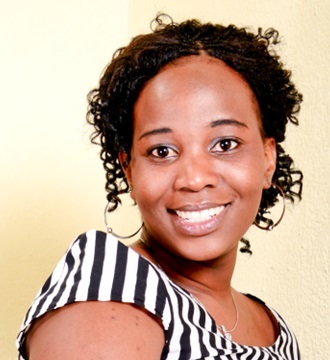 Ms Dakalo Gladness Tshishonga obtained a National Diploma in Non – Destructive Testing (ND: NDT) in 2013 at Vaal University of Technology (VUT). In 2014, she obtained a Certificate in Total Quality Management at UNISA and a certificate in Operations Management at Witwatersrand University (WITS). Dakalo is self-motivated, with great enthusiasm and determination to excel in her job. She has proactive management and leadership skills, combined with highly developed organisational skills and the ability to prioritise substantial workload. In March 2015, she entered a Rapid Improvement Process Project competition at AIDC Ford (motor industry) representing Thomas Foundry Company which she won first prize and became the champion of 2015. In August 2015, she wrote IRCA Lead Quality Audit exam at TUV Rheinland from which she is currently waiting for the results. She is currently registered with SAIW for Welding Inspection level 1. She worked at Scaw metals as NDT Technician Trainee while registered for her Work Integrated Learning (WIL) from January to October 2012. She obtained a permanent position at Thomas Foundry Company as a Senior NDT Technician in November 2012. Dakalo was promoted in June 2013 to a level of a Junior Quality Inspector with NDT technicians reporting to her. In September 2014, she was promoted to a position of a Quality Controller, Systems and Continuous Improvements until she was offered a new position of a Quality officer at Eskom, Lethabo Power Station in 2015. 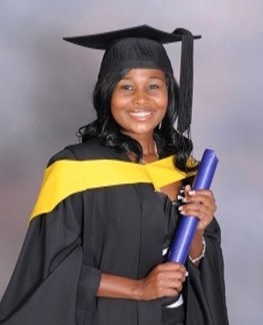 Mrs Ngeletshedzo Nyambeni-Netshidavhini holds a National Diploma in Non-Destructive Testing from the Vaal University of Technology obtained in 2010. In addition to that, she has Level II certificates on Ultrasonic Testing, Magnetic Particle Testing, Liquid Penetrant Testing and Level 1 certificate on Eddy Current Testing obtained in 2014. Ngele, who is self-motivated and focused, has contributed greatly to the NDT community by co-authoring and presenting research papers at international conferences. The research papers are as outlined in 5(a), (b), (c), (f), (h), (I), (j), (o), (p), (q) and (r). She also received a merit award certificate for outstanding contribution at the WCNDT 2012 in Durban. Having worked at VUT for five years as an NDT Laboratory Technician, she was also a Work Integrated Learning (WIL) co-ordinator and NDT programme co-ordinator. Ngele currently works for Titan Wheels South Africa where she oversees the NDT section. She has also established her own NDT company called Flaw Master Inspection Services. In 2016, she will want to further her studies by registering for B Tech: Quality with the University of Johannesburg.